Aimed at plastic part designers, toolmakers and production engineers, this course is ideal for anyone involved in reviewing flow simulation results. 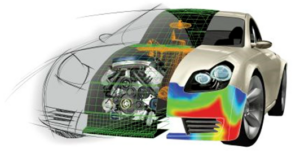 No software experience is necessary and the lessons can be applied to Autodesk Moldflow, Moldex3D, Sigmasoft, SOLIDWORKS Plastics, Visi and Simpoe simulations. Please contact us for details. We can organise a suitable date and location to suit your requirements, including on-site. The location can be organised to suit your requirements, including on-site.